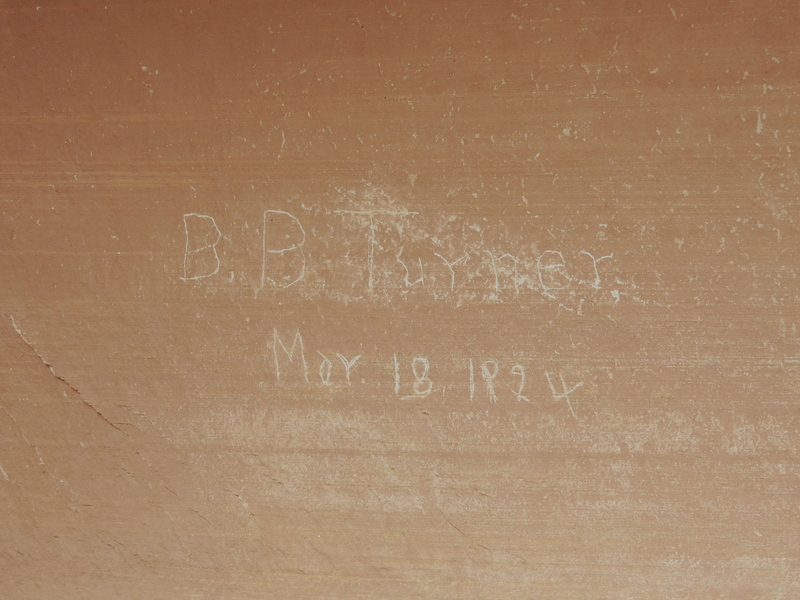 Sometimes it happens that you write in your blog about a “secret ruin” and a reader comments and tells you about an even better ruin that you missed. When that happens, you have no choice but to return to Natural Bridges National Monument and seek out the even better ruin. So that’s what we did a few weeks ago. Not Ancestral Pueblan, though. We kept going. I was just beginning to wonder if my blog informer was correct when we turned a corner and saw the ruin. Excellent! This was a nice little ruin, but I couldn’t see a way to get up there. There had to be more. 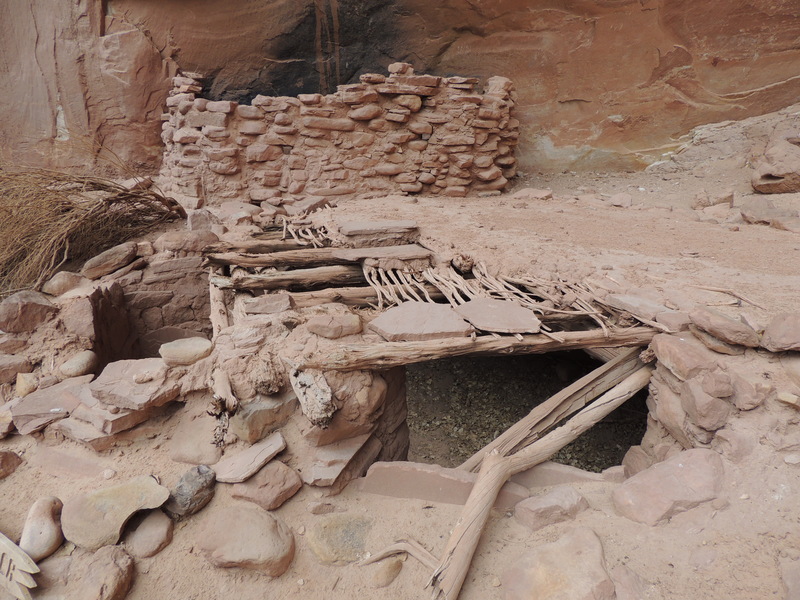 We followed the cliff face, and there it was: a beautiful little ruin full of ancient kivas. 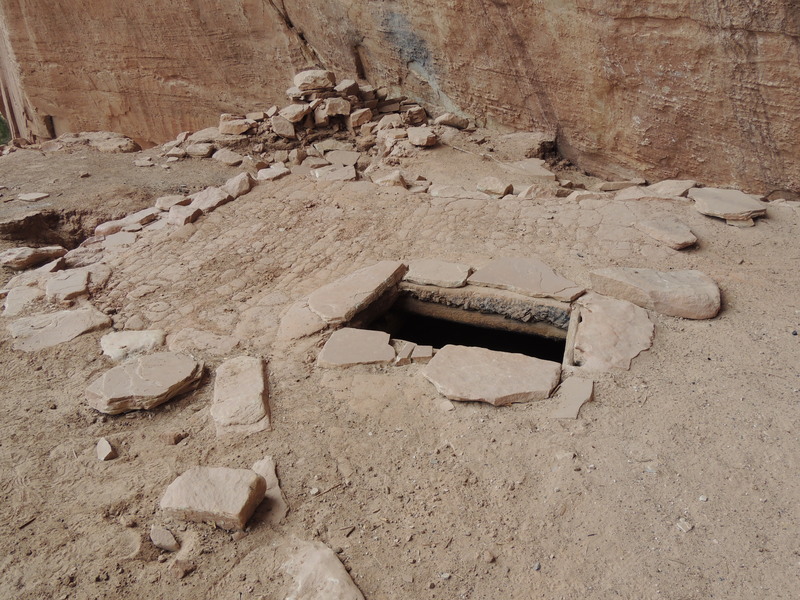 There was even a kiva with an intact roof! 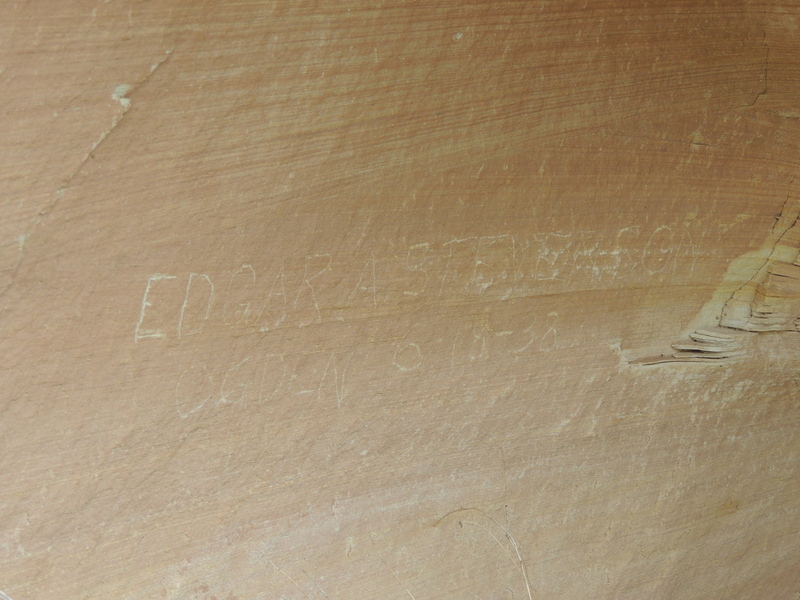 There are a few others on Cedar Mesa, but it’s a pretty darned rare find. 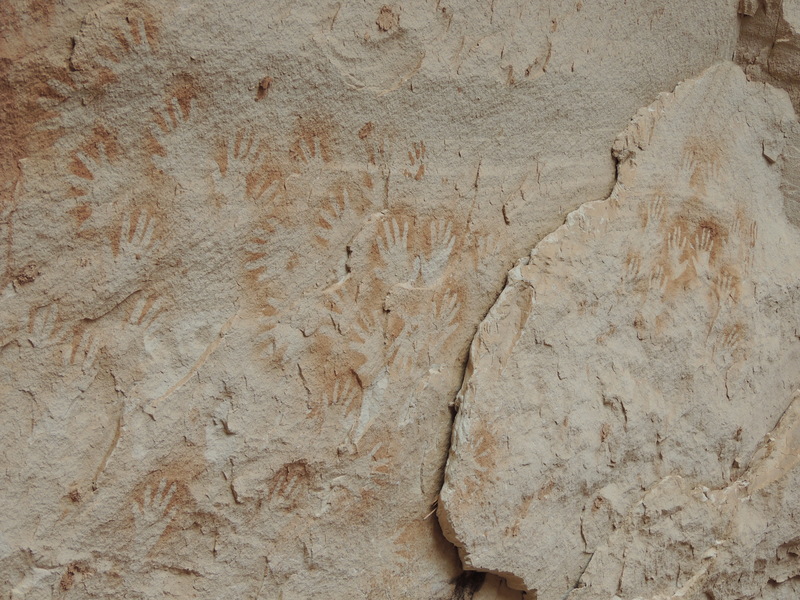 There were intact small rooms along the edge of the ruin, and some great rock art – including a wonderful panel of hands that were created by blowing the dye through reeds. 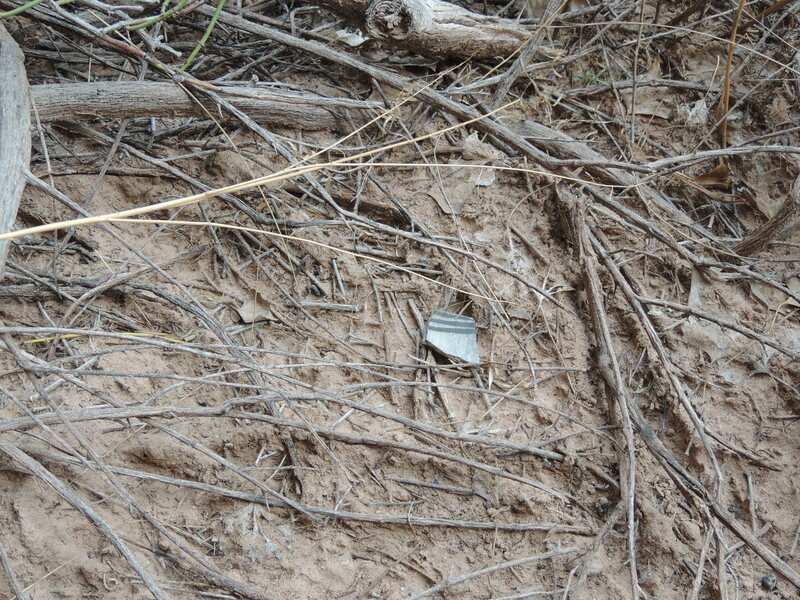 I saw one lone pot shard in the midden area of the ruin. I’m sure there were more (I hope so!) but I didn’t want to tramp all over the midden looking for them. 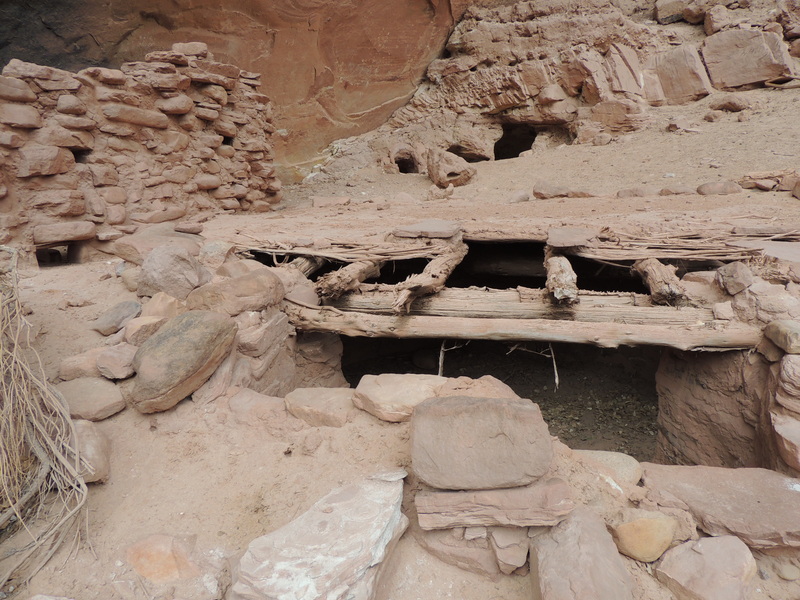 This entry was posted in Adventure, Hiking, Outdoors, Southwest hikes, Travel and tagged Natural Bridges National Monument, ruins near Sipapu Bridge, Sipapu Bridge. Bookmark the permalink. It’s pretty cool stuff, isn’t it? Glad you liked it. Natural Bridges NM is one of my favorite spots, a little gem of a park. 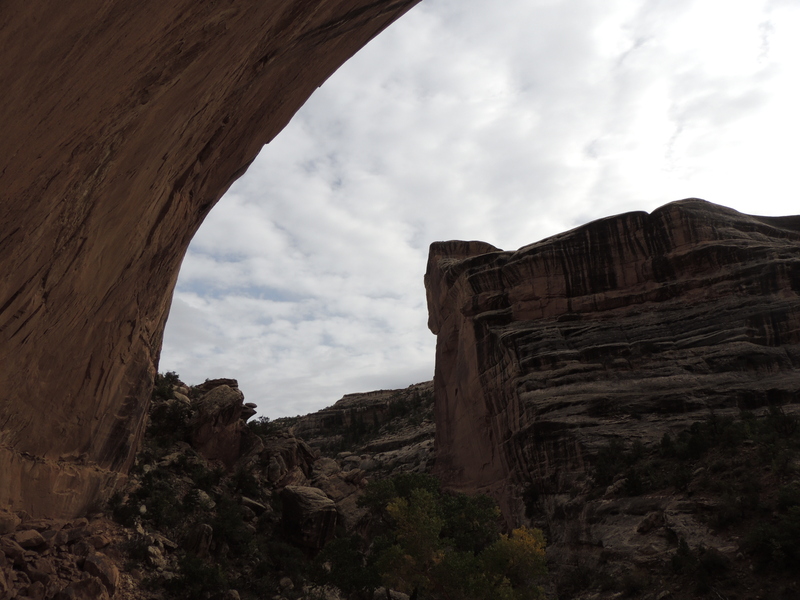 Once we spent an entire day hiking and exploring down in the creek bed underneath the three bridges. 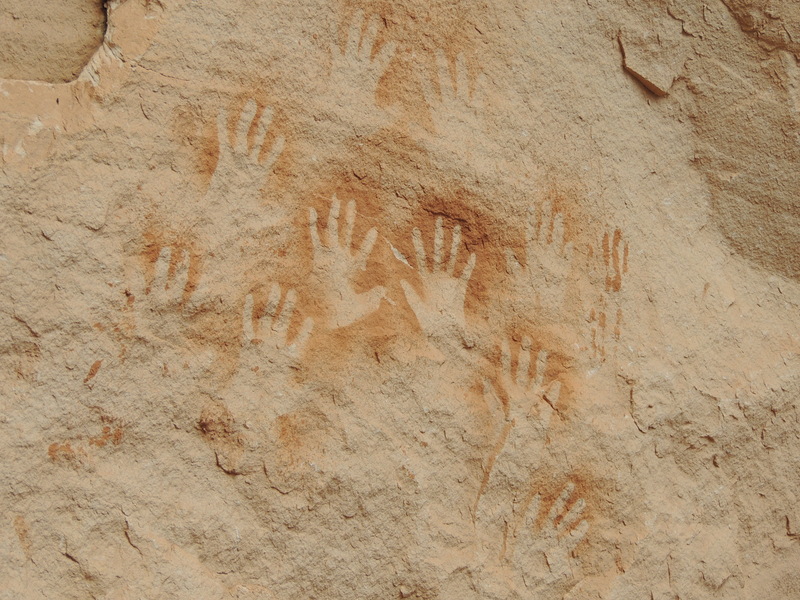 There are numerous hand prints and pictographs down in the canyon that most people miss. It’s a magical place! We introduced friends to Nat. Bridges last spring, which was great fun. It is a gem of a park, that’s for sure! That is incredible! Thank you for sharing. Wow, that’s really cool! It must have been neat to see that. Thanks for sharing the pictures! They are pretty cool ruins, aren’t they? There are even more further up the canyon, too. Need to go back! Thanks for reading. 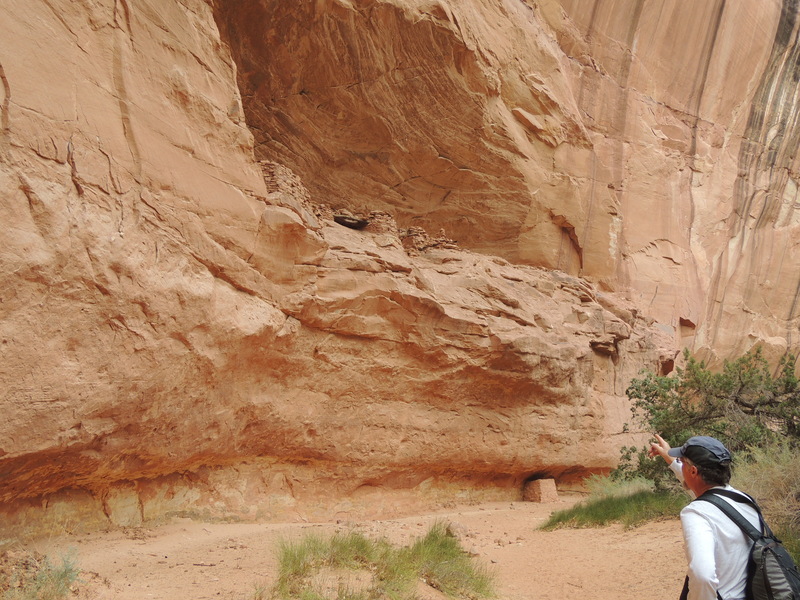 This is a wonderful looking place…..walking in the footsteps of people long gone. I’m fascinated with this part of the country and the history, and I love your exploring. keep it up and keep posting!